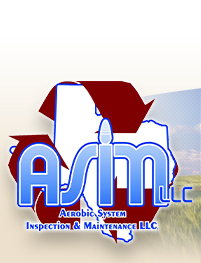 Please understand that this document is not a copy of anyone’s writing and it is our opinion of how we at ASIM have experienced dealing with our customer’s septic problems and prescribed or performed repairs and practices in order to solve day to day septic system problems. As with any document, various meanings can be interpreted so there will always be room for debate. For those of us who have decided to live in the rural areas of our nation’s cities, we have acknowledged the fact that the nearby cities do not extend their sewer collection lines outside their city limits to hook us up. There are a few instances where they may, but not usually. After all, sewer collection and treatment is a business and if it were profitable to extend their sewer service to outside the city limits they would do so. So, what do we do? We purchase and have installed on our properties our very own sewage collection, treatment and disposal system. Due to the Health risks in having our very own On-Site Sewage Facility (OSSF) there are laws guiding us and we must follow them or we could find ourselves in jail or debt. In Texas the Statute (law) that we all must follow can be found in the Health and Safety Code, Chapter 366. Since the Governor is too busy doing what he/she normally does, he/she has empowered the Texas Commission on Environmental Quality (TCEQ) to write and register rules according to Lawmaker’s suggestions and the Health & Safety Code. These rules can be acquired from TCEQ or The Texas Register. From TCEQ simply inquire for the Rules and In the Texas Register look for Title 30 (TCEQ), Chapter 285. Why do we have all of this regulation? It is designed to protect the Health and Safety of Humans and Animals and for the protection our drinking water. Given these guidelines we can design, install, maintain, repair, and operate an OSSF. If we do not follow these rules we could lose the privilege. If we neglect to follow these rules on a state wide perspective, the government can empower itself to take the matter into its own hands and our OSSF will become its property and we’ll still have to pay to keep it up. Now, we should all have an understanding that we generate our own wastewater and if we have an OSSF we must treat it (clean it up), and dispose of it on our own property. With that being said, what have we got on our property? For the scope of this document we will attempt to cover what we most commonly encounter. From a network of sewer collection pipes located from within and under our house and at some point or points these extend out from under our home. If more than one sewer pipe comes out from under our home then we must combine them into one pipe or install an OSSF on each one. Most of us prefer only one OSSF. Everything we flush down the drain or toilet should be conveyed through these pipes in a gravity (downhill) fashion. If we lose our downhill slope trouble is sure to happen. Keep in mind the longer we run these downhill pipes the deeper they will go. Because of this and our flatter Texas landscape, most OSSFs are close to our house. The pipe from our house will then run into the first tank of our septic system. Depending on the type of septic system we have this first tank can be called different things but its function is always the same by trapping solids and it does this by retaining our wastewater over a period of time. If for some reason the first tank has a pump installed in it the function of the pump and tank are for lifting or conveying the wastewater to a higher or further location. The formulas from the rules and manufacturer recommendation tanks are sized based on a period of two days of retention. Theory is if the water spends two days in a tank it will have enough time to separate by gravity the sinking and floating stuff out of our wastewater. So, stuff will get trapped in this first tank and from time to time the stuff will need to be cleaned out. If we have a Conventional (leach lines) OSSF the rules make us use a formula to determine Septic Tank sizing and it must have two compartments or be made of two tanks. The second compartment or tank is there for added safety. If we have an Aerobic OSSF we are required to have whatever the manufacturer or designer of the aerobic system recommends and the tank is referred to as a Trash Tank. TCEQ also gives us options to help regulate or dose our wastewater from these primary tanks and the next units called treatment units. Downhill further from the first tank(s) is our treatment unit. In a Conventional OSSF this treatment unit is our drain field or leach field. In an Aerobic OSSF this is our Aerobic Treatment Unit (ATU). With the Conventional OSSF we are relying on aerobic bacteria but they are the ones found in our soils provided to us by Mother Nature, so to speak. If we find ourselves owning a house where the soils found underground are not suitable for sustaining aerobic bacteria, we must grow our own and that is done with an ATU. Whether in the ground or in a tank aerobic bacteria are the workers that provide over 90% of the cleaning to our “stuff free” wastewater. I like to think of aerobic bacteria as being similar to humans and animals because like us aerobic bacteria need air (oxygen), food and water. Of course the food is different but the air and water are the same. If we are deprived of any one or all of these we will die, so will the bacteria. Also like us, the bacteria can be killed by poison. So, if it is has not passed thru us or able to pass thru us most likely the bacteria can’t handle it either. What can make us sick or die will most likely do the same to the bacteria. Bacteria also have a life cycle and when they die they leave their carcass behind. These pile up with along with the addition of some occasional stuff being forced out of the first tank(s). Because of this accumulation at some point an ATU will need to be cleaned out and at some point a Conventional OSSF may end up with a plugged drain field. Unplugging a drain field is very difficult. Downhill further form the treatment units is the disposal unit. As you have noticed everything is downhill so if our local landscape dictates we may have to lift up the wastewater to another or higher location. On a Conventional OSSF the drain field also includes the final disposal unit directly into the soil. With an ATU the final disposal is most commonly sprayed onto the surface of the ground. Before doing so the wastewater (considered final effluent) must be disinfected. This is the reason for the use of the chlorine tablets or liquid bleach. Since this effluent can easily come into contact with humans and animals it is very important it be disinfected. Even with multiple tanks ahead of it, the disposal tank or drain field can still accumulate stuff and at some point will need to be cleaned out.